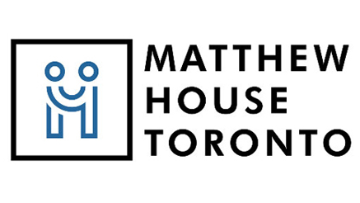 Matthew House is a Toronto-based charitable organization that provides shelter and settlement support for refugee claimants who arrive in the city fleeing from war, prejudice, and other forms of persecution in their own countries. It currently operates four homes in the city, including an intake home, two homes for unaccompanied youth and a multi-family dwelling for the most vulnerable families. Matthew House is a recognized leader in inspiring hope, restoring dignity and empowering independence for refugee claimants. It serves people of all faiths and advocates for the well-being of each individual. Its goal is to help refugees achieve self-sufficiency in this country. As an organization it has more than 20 years’ experience in effectively settling refugee claimants and helping them to become independent contributing members of Canadian society. Outstanding programs like its home setting, refugee hearing program, and family homes for unaccompanied youth, ensure that refugees that come through its doors are given the best start possible and thrive quickly in their new country. Matthew House was founded on values from the Christian faith. It is important that these values are reflected, respected and honoured. It is equally important to note that Matthew House welcomes and serves people of all faiths and points of view, without discrimination or judgement, recognizing that embracing diversity is critical to achieving its vision. Over the next five years, Matthew House has an unprecedented opportunity to significantly increase its occupant capacity and to introduce innovative programs to augment its exemplary refugee hearing program and unaccompanied youth program. The board of directors is looking for the next leader who will champion this growth and establish the ‘North Star”’ vision for the future of Matthew House. The Executive Director serves as chief executive of Matthew House Toronto and, in partnership with the board, is responsible for the success of the organization. Together, the board and Executive Director assure Matthew House Toronto’s relevance to the community, the accomplishment of its mission and vision, and the accountability of the organization to its diverse stakeholders. The next leader of Matthew House will be a visionary leader and builder, an inspirational communicator and ambassador for the refugee cause, and a thought leader in the sector. He/she will be an experienced leader with tested operational skills and be adept at building and creating a positive culture with employees and dedicated volunteers. He/She will be as focused on serving our refugee residents as on the effective operation of the organization. As the new Executive Director, you will have deep networks and the ability to inspire others to join the Matthew House community in order to add capacity and address gaps in the system that are unique to refugee claimants. Knowledge of fundraising and donor development strategies and approaches. University degree in social work, immigration, settlement services, or related fields. This search is being conducted on behalf of Matthew House by crawfordconnect, a search firm specializing in recruiting leaders and fundraisers for Canada’s non-profit sector. If someone you know may be interested in this position, please feel free to forward this document – we would be pleased to connect with them. By April 8, 2019, please apply with both your cover letter and resume through our website at http://crawfordconnect.com/for-candidates/job-openings/dccjob/executive-director-62/. Questions about the position? Contact Licinia Neves at Licinia@crawfordconnect.com or 416.786.8295 / 1.866.647.5149. Issues with applying? Please call 416.977.2913 or email info@crawfordconnect.com. Qualified applicants are invited to submit their resume and letter of interest separately online, through our website, in confidence. We thank all applicants for applying, however, only qualified candidates selected for an interview will be contacted.